A month-long will-writing campaign that helps people in Leeds to get their paperwork in order and raises money for charity, has just under two weeks to go – and appointments are filling up fast. Will Aid month started on November 1 and lasts for just four weeks (until November 30), linking people with participating solicitors in the West Yorkshire area who prepare basic wills in exchange for a donation. There is a limit on available appointments, with solicitors reporting having only a few remaining over the last two weeks of the campaign. Campaign director Peter de Vena Franks said: “Will Aid has been incredibly popular this year. You can still make a November appointment right now and we suggest you do it as soon as possible to avoid disappointment. “Will Aid is an amazing opportunity to not just make a will, but do it with the help of a professional with the added bonus of helping nine charities in the UK at the same time. 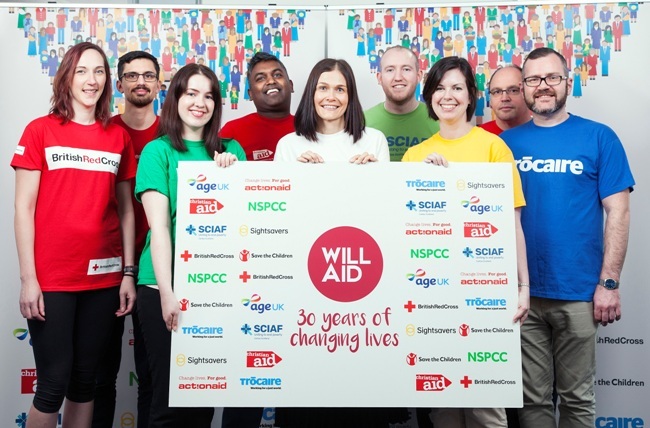 This year Will Aid is celebrating 30 years since its launch, as well as raising more than £21 million for charity since it launched in 1988. The scheme takes place across the country from 01-30 November 2018 and supports nine of the UK’s best-loved charities – ActionAid, Age UK, British Red Cross, Christian Aid, NSPCC, Save the Children, Sightsavers, SCIAF (Scotland) and Trocaire (N. Ireland).